Enjoy these whimsical pictures of snowman related inventions from works registered with the Patent and Trademark Office. The history of the snowman of course predates the patent system. Historian, Bob Eckstein, author of History of the Snowman, stated that no one knows who invented the very first snowman, however, he feels that the first man of snow was made in medieval times, the medieval Book of Hours from 1380 contains the very first illustration found of a snowman. Olympia was made by the folks of Bethel, Maine, and named after Maine senator Olympia Snowe. 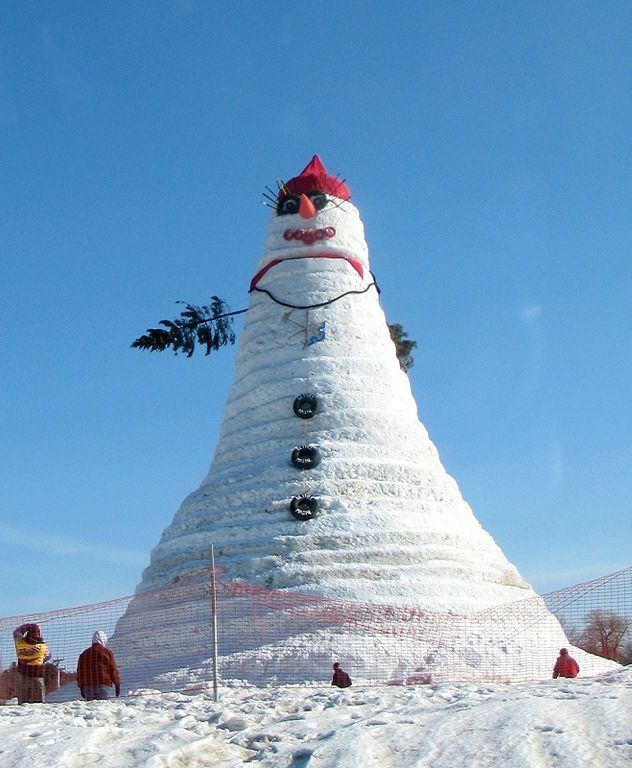 The snowman or to be more precise the snow woman was 122 feet, one inch high and broke the Guinness world record for the largest snowman. Olympia was built in a little over a month to build, she is dressed in a 100 foot scarf, has 27 foot evergreen trees for arms, and eyelashes made from old skis.